Master Luthier, Nikolaos Brass’ collection of ancient Greek instruments forms the basis of Ancient World. Brass dedicated his life to the research and re-creation of ancient musical instruments, using the same methods and materials which were used in ages past. Some of the instruments, such as the Syntonon and Copperphone, are extremely rare with only two or three existing worldwide! 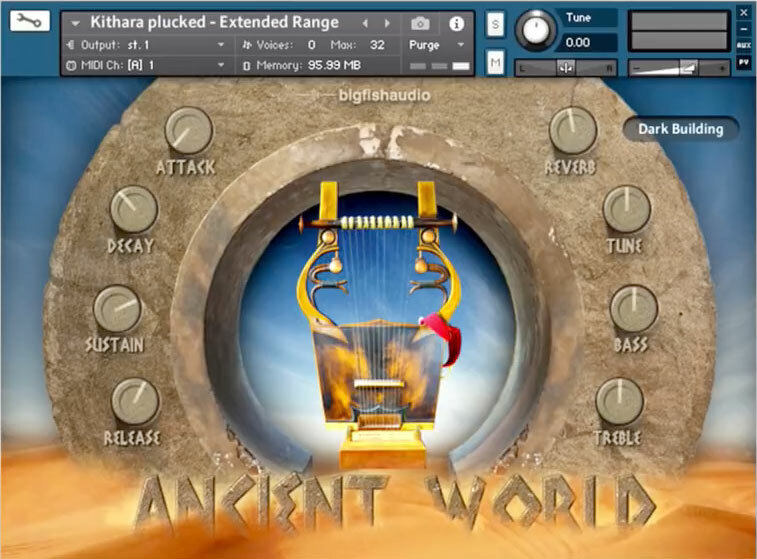 The multi-sampling of these beautiful instruments presents a rich array of String, Wind, and Percussion implementations. All of the performance techniques have been meticulously sampled. For instance, the string instruments have articulations such as plucked, with and without vibrato, harmonics, plectrum, tremolo, arpeggios, glissandos, behind the bridge, slides, and more. In some cases, up to thirty samples per note have been recorded. Ancient World includes eleven string instruments, eight wind instruments, and thirteen percussion instruments. Additionally, almost every instrument comes with a set of inspiring looped performances. In order to expand the geographical and historical boundaries, many rare instruments from Medieval times, the Mediterranean basin, as well as the Middle-East have been added. 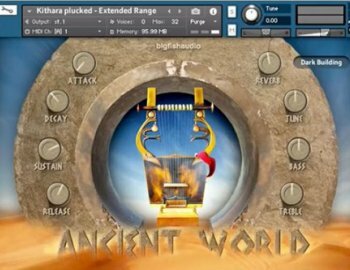 Ancient World is an indispensable tool for composers who are active in film, TV and video games.